Leaked out of NASA? I don’t think so…it feels like disclosure is close and this is part of the trickling process. “Take a look at these amazing photos that were leaked out of NASA Johnson Space Center. The quality of the photos is almost HD and the detail we see of the UFO recorded by a NASA satellite orbiting are incredible. The most important question here is not what they are…space stations or ships, but is the species that built them still on board those ships? It looks to me that these photos were taken by someone that works for NASA and had access the famous “airbrush room.” That is where they erase all the UFOs or alien evidence out of photos before they are released to the public. These photos are real, I stake my reputation on it.” writes Scott Waring. 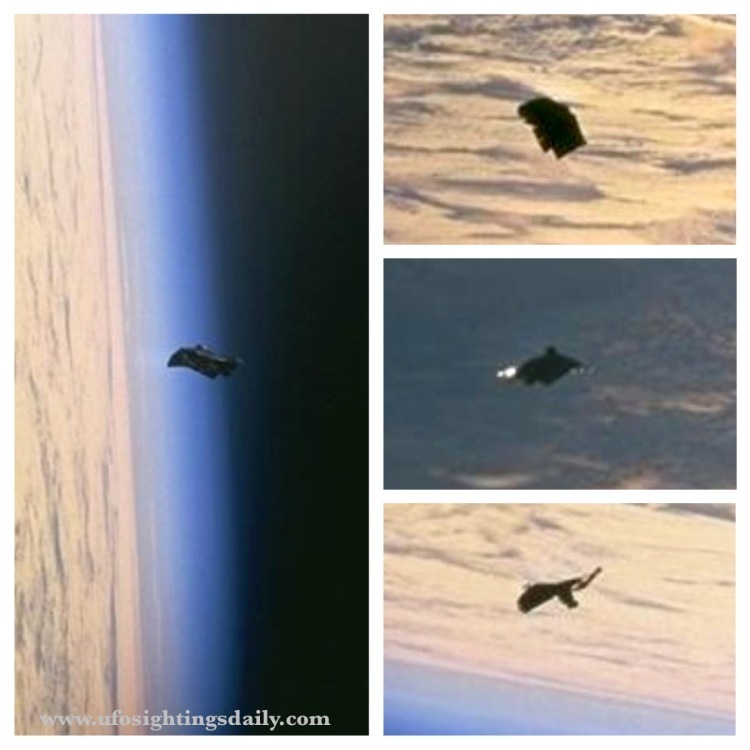 To see many more of these quality photographs and get links to the original source, visit: http://www.ufosightingsdaily.com/2011/05/ufo-sighting-photos-leaked-out-of-nasa.html. It is well worth the visit.